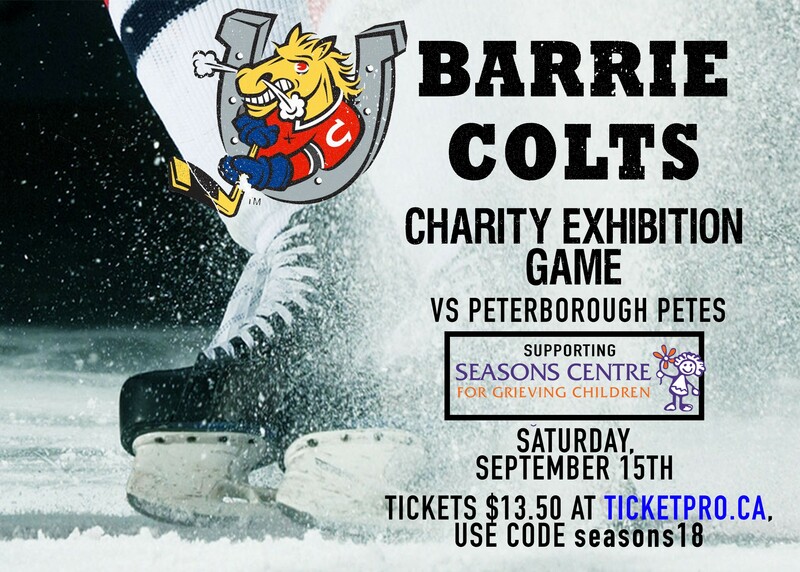 Join us for the Barrie Colts’ Charity Exhibition Game against the Peterborough Petes, benefitting Seasons Centre! The game is on Saturday, September 15th @ the Barrie Molson Centre. Tickets are $13.50, available at ticketpro.ca. Use the code seasons18 when purchasing your tickets! Go Colts! For more ticket information – or to purchase tickets in person – contact Courtney McFadden, Development Assistant at Seasons Centre (Phone: 705-721-5437 ext. 301, Email: [email protected]).